As flowers bloom and daylight hours grow longer, the West Nile virus migration begins. Several states have already reported positive cases of the West Nile virus in birds. Early reporting states include California, Colorado, Texas and surprisingly Pennsylvania. The virus is the leading cause of encephalitis in the United States. Encephalitis refers to the swelling of the brain which can lead to life-threatening health complications and death. In recently reported data from the Centers for Disease Control and Prevention (CDC), the United States saw 2,469 cases and 119 deaths attributed to the West Nile virus in 2013. The West Nile virus typically starts on the west coast and begins to migrate east as the summer months arrive. Pennsylvania typically sees its first case in mid June, not the case in 2014, as the first case was reported in May. California and Colorado generally start to see cases in May and Texas has reported positive West Nile virus findings as early as April. As we head east the virus begins to migrate and starts to pop up state to state and usually arrives in Massachusetts mid to late August. Human cases of the virus vary from state to state with 48 states consistently reporting positive West Nile virus findings. The CDC has released human incidents and rates for 2013. Some state findings include; California’s 379 human cases and 15 deaths, Texas’ 183 cases including 14 deaths, Mississippi’s 45 cases and five deaths. As we travel east the numbers of humans infected decreases. Pennsylvania saw 11 cases and one death, while Massachusetts saw eight cases and no reported deaths. Although the virus presents itself consistently across the United States the infection rate is low and most people infected show no signs. 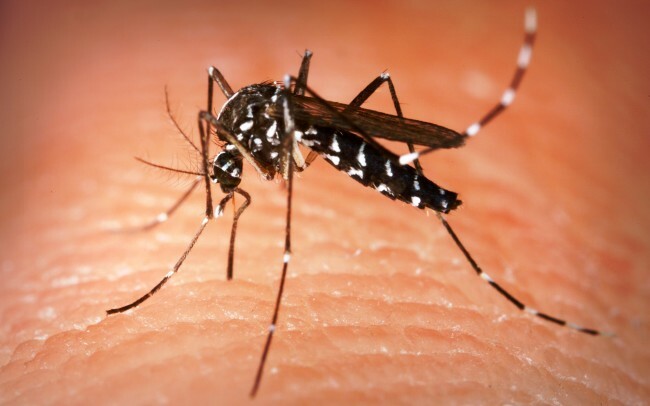 The virus is transmitted to humans via a bite from an infected mosquito. The mosquito becomes infected when it feeds on an infected bird, hence a natural circle of death. Even though most people show no signs there are certainly symptoms to look for as we head into the summer months. People infected with the West Nile virus may experience fever, head ache, body aches and swollen glands and lymph nodes lasting several days. The elderly and people with compromised immune systems are at a greater risk of severe complications from the virus. If someone you know has been exposed to mosquitos and is showing signs of these symptoms, it is highly recommended to seek medical help. It is safe to say the West Nile virus migration has begun. However there are ways to make their arrival less welcoming. Researchers have been studying mosquito populations and patterns for years and highly recommend reducing mosquito breeding sites in hopes to control the spread of the virus. Some simple preventative steps may ultimately save your life. Limit outdoor activities during the hours of dawn and dusk when mosquitos are most prevelant. Use proper insect repellent with DEET on cloths and exposed skin areas. Check windows and screens to insure proper maintenance. Dispose of items that may hold stale water such as pots, cans or old tires. Change outside animal water feeders frequently. Keep up with landscaping to ensure grass and weeds remain trim and avoid pooling of water on low areas of the property. These steps will help limit the spread of the West Nile virus. Be smart, be safe and enjoy the migration of good weather.